The world we know and love and call “GIS” has grown by many orders of magnitude since Roger Tomlinson coined the acronym in the 1960s. Facing us in the future will be questions and issues that deal with data privacy, big data, and even how we define GIS. Read the article. 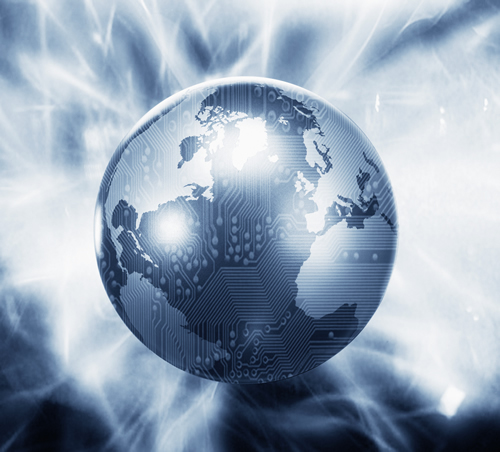 Will the world of GIS look very different in a few years? 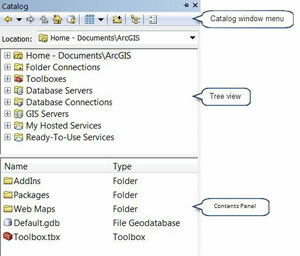 ArcMap includes a catalog window you can use to organize and manage various types of geographic information. But did you know you can change the Catalog window to include a contents panel that lets you manage multiple items at the same time? Read the tip. The Esri Developer Summit is just weeks away. Don’t miss attending the tech sessions; talking code; and, of course, demanding a dodgeball rematch. Read the article. Get excited, app aficionados! Some awesome Esri apps for working with geographic information just got way better. Read the article. Economist Edward Yardeni uses selfie to describe single people with money to spend on themselves. Esri Tapestry Segmentation data shows where businesses can find them. Read the article. 3D mapping is now available across the Esri platform, says Nathan Shephard from the 3D visualization team. "Some problems can only be solved when you include the z coordinate." Read the interview with Shephard. What’s Going on in Real Time? At the new Chicago Police Department command and control center, officers can monitor incidents in real time using digital maps. Read the blog post. Some simple and elegant ArcGIS Pro features will cause you and other mappers to cheer. Read the blog. Watch the video. Want to learn spatial analysis techniques? Sign up for Go Places with Spatial Analysis, a Massive Open Online Course (MOOC) from March 4 through April 15. It's free. Save your spot. Use the scene viewer in ArcGIS Online to create 3D web scenes that show off natural wonders such as the Grand Canyon and Mount Vesuvius. Watch the video. Free ArcGIS Online trial. Esri’s next-generation hillshade is the Multi-Directional Hillshade image service, inspired by the late Swiss cartographer Eduard Imhof. Read the article. You can design bike lanes using the new Complete Streets in Esri CityEngine and then visualize the changes in 3D. Read the article in peopleforbikes. Watch the video. ArcGIS Online offers imagery from several sources such as Landsat 8, which you can use in your maps and apps. Esri’s Deane Kensok walks you through how to access the images. Read the blog. Add global demographic and spending data to your analyses. The data is available via ArcGIS Online and apps such as Esri Maps for Office, Esri Business Analyst Online, and Esri Community Analyst. Check variables by country. Get the data. Worried that another Snowmageddon will strike? This snowfall forecast map will prepare people for what's next, snow wise, across the United States. View the map. Watch the video from Boston. GeoCollector is a high-accuracy data collection solution for ArcPad or ArcGIS for Windows Mobile and includes Trimble’s Geo 7X handheld. Order today. Use a move to SAP as a reason to embed live maps and location analytics directly into that system to improve workflows, be more productive, and make better decisions. Read the blog. Do utilities have enough spatial intelligence to figure out what sparked an outage and the location of the problem? Read the blog.